Model: PowerVault MD1000. Storage Array, 2 x Power Cords. Storage Bays: 15. We have tested this system by ensuring it powers on, but that is the extent of our tests. Includes all 15 HDD Caddies but not the Hard Drives themselves. 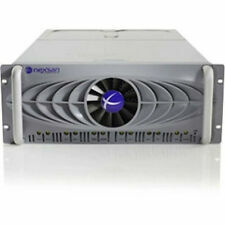 NexSAN SataBeast SAN Storage System SATA 42 Bay. 24TB Installed (12qty x 2TB Drives). Fibre Channel / iSCSI Raid 4U. Can add up to 42 drives, start out small and upgrade when you need more space. Boardroom Technologies will provide top level service and will do everything in our power to satisfy all your needs. TESTED, WORKING, WARRANTY! - NO DISK, NO BEZELS(FOR EARS), WITH RACK KIT! 24x 600GB 10K SAS Hard Drives Installed EqualLogic Enterprise Plus. Tray stickers will say 15K but they are 10K drives installed. HP Part # HP AP837A AP837B 582937-001. 24x 900GB 10K 2.5" SAS Dell EqualLogic Enterprise Plus (Disregard 300gb sticker in picture they will be blank.). 2x Power Supplies. HP Part number: AP837A or AP837B depending on the actual unit. AP837B is substitution of AP837A. HP FRU Part Number: 582937-001 or 582937-002. 12x 1TB 7.2K Dell Enterprise Plus EqualLogic Drives Installed. Rail Kit Included. 12 X X289A-R5 450GB 15K SAS DUAL 675 Watt Power 4 X GBIC's. K&K DISK ARRAYS CORP.
(per ctrl 2x 10gbe sfp 2x 10/1gbe RJ45). Dell Equallogic. 12x 2TB NL SAS 3.5" LFF Dell Orig. Specializing in Netapp, Dell, EMC, IBM, HP and many more products lines. We buy retired EMC, Netapp, and Dell Storage! Dell Equallogic. No drives No Trays. ASK FOR CUSTOM CFG PRICING! Specializing in Netapp, Dell, EMC, IBM, HP and many more products lines. We buy retired EMC, Netapp, and Dell Storage! Ask for Nick. Dell EqualLogic PS6210X 24x 2.5" SFF Hard Drive Option 24x 300GB 10K SAS 6Gbps Hot Swap Drives 2x Type 15 Controllers 2x 10GB RJ45 2x 10GB SFP Port 1x Mgmt Port 2x 700W Power Supplies Rail Kit Included Front Bezel Included 2x Power Cords, & 1x Console Cable 2 Year NBD Parts Replacement Warranty. Full Diagnostics Ran and Passed. All drives DODx3 Wiped and Smart Tested. SAN iSCSI Storage System. Our jobs depend on it. We may ask for pictures or other proof of the non-functioning item. Fully Wiped and S.M.A.R.T. Tested. Dua l Port iSCSI. 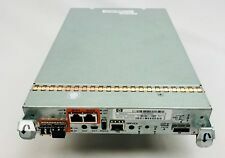 Dual Port 8Gb Fibre Channel. 2x 8Gb SFP's Included. Boardroom Technologies will provide top level service and will do everything in our power to satisfy all your needs. Dual SAS Ports. EMC TRPE StorageCX4-120. 2x - MGMT 303-130-100B. 2x - 8Gb Fibre 303-092-102. 2x - 110-113-112B. 2x - 10GbE iSCSI 303.081.103. 1 x EMC VNX5300 Data Mover (With Rails). 54 x 005050927/005049272/005049274/005049677 600GB 15K SAS HDD. 14 x 005049449 2TB 7.2K SAS HDD. 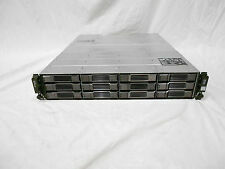 1 x EMC VNX5300 Storage System - 900-567-002 with (With Rails). We provide data storage hardware for your EMC system upgrades and/or repairs. 2x 303-081-103B 10 GBE ISCSI 2-PORT IO OPTICAL. This unit has passed testing and is fully functional! Huge EMC Hard Disk Drives Inventory. 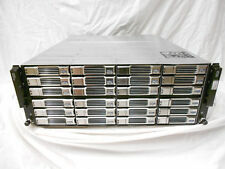 24 x Dell EqualLogic 1.2TB SAS 10k 2.5" hot plug drives. Two 10GbE SFP ports for fibre or copper cabling. Support block and file data along with the FS Series through a single intuitive interface. Two 10GBASE-T RJ45 auto-sensing (10Gb/1Gb/100Mb) ports. 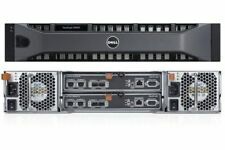 GJ765) with following included NX4-2C-C-FD / 100-560-709 / 100-520-918Celerra NS40 Rackmount Storage Processor (Dell. see the attached pics (the item you get is the one in the pic). This item is. FAS3020CStoarge Array Filer Unit with following included used pull , warranted no DOA. Dell Compillant CT-040 16-Bay SAN Storage, Intel Xeon 2.53GHz E5540, 6GB, No HD. Dell Compillant CT-040 16-Bay SAN Storage. "No Dard Drives". HP MSA 2050 SAN SFF Storage, 24-Bay 2.5" HDD Chassis. Hard Drives: 3.5TB (24 x 146GB) 15K 6Gb/s SAS 2.5" HDDs. Aventis Essentials: 3 Year Comprehensive Warranty. All of our products are tested and built to custom specifications. HP MSA 1050 SAN SFF Storage 24-Bay 2.5" HDD Chassis with 12 HDDs. Hard Drives: 1.75TB (12 x 146GB) 15K 6Gb/s SAS 2.5" HDDs. Aventis Essentials: 3 Year Comprehensive Warranty. All of our products are tested and built to custom specifications. Hard Drives: 6TB (6 x 1TB) 7.2K 6Gb/s NL SAS 3.5" HDDs. HP MSA 1050 SAN LFF Storage 12-Bay 3.5" HDD Chassis with 6 HDDs. Aventis Essentials: 3 Year Comprehensive Warranty. All of our products are tested and built to custom specifications. Hard Drives: 12TB (12 x 1TB) 7.2K 6Gb/s NL SAS 3.5" HDDs. HP MSA 2050 SAN LFF Storage, 12-Bay 3.5" HDD Chassis. Aventis Essentials: 3 Year Comprehensive Warranty. All of our products are tested and built to custom specifications. HP MSA 2052 SAN SFF Storage, 24-Bay 2.5" HDD Chassis. Hard Drives: 3.5TB (24 x 146GB) 15K 6Gb/s SAS 2.5" HDDs. Aventis Essentials: 3 Year Comprehensive Warranty. All of our products are tested and built to custom specifications. HP MSA 2052 SAN SFF Storage, 24-Bay 2.5" HDD Chassis with 12 HDDs. Hard Drives: 1.75TB (12 x 146GB) 15K 6Gb/s SAS 2.5" HDDs. Aventis Essentials: 3 Year Comprehensive Warranty. All of our products are tested and built to custom specifications. HP MSA 1050 SAN SFF Storage 24-Bay 2.5" HDD Chassis. Hard Drives: 3.5TB (24 x 146GB) 15K 6Gb/s SAS 2.5" HDDs. Aventis Essentials: 3 Year Comprehensive Warranty. All of our products are tested and built to custom specifications. 24x 600GB 10K 2.5" SAS Hard Drives Installed. 12x 450GB 15K SAS Hard Drives Installed. Rail Kit Included. (per ctrl 2x 10gbe sfp 2x 10/1gbe RJ45). Dell Equallogic. 12x 1TB NL SAS 3.5" LFF Dell Orig. Specializing in Netapp, Dell, EMC, IBM, HP and many more products lines. We buy retired EMC, Netapp, and Dell Storage! Dell Equallogic. 24x 600GB 10K SAS DELL EQL Original. Specializing in Netapp, Dell, EMC, IBM, HP and many more products lines. We buy retired EMC, Netapp, and Dell Storage! Ask for Nick. Ask for Nick Charles. Dell Equallogic. 24x 300GB 10K SAS DELL EQL Original. We buy retired EMC, Netapp, and Dell Storage! Ask for Nick. Specializing in Netapp, Dell, EMC, IBM, HP and many more products lines. We provide turnkey solutions for all your needs. 24x 900GB 10K SAS DELL EQL Original. Dell Equallogic. Specializing in Netapp, Dell, EMC, IBM, HP and many more products lines. We buy retired EMC, Netapp, and Dell Storage! Ask for Nick. Ask for Nick Charles. (per ctrl 2x 10gbe sfp 2x 10/1gbe RJ45). 12x 3TB NL SAS 3.5" LFF Dell Orig. Dell Equallogic. Specializing in Netapp, Dell, EMC, IBM, HP and many more products lines. We buy retired EMC, Netapp, and Dell Storage! Dell Equallogic. 24x 1.2TB 10K SAS DELL EQL Original. Specializing in Netapp, Dell, EMC, IBM, HP and many more products lines. We buy retired EMC, Netapp, and Dell Storage! Ask for Nick. Ask for Nick Charles. Dell EqualLogic PS6210X 24x 2.5" SFF Hard Drive Option 24x 900GB 10K SAS Hot Swap Drives 2x Type 15 Controllers 2x 1080W Power Supplies Rail Kit Included Front Bezel Included 2x Power Cords, & 1x Console Cable 2 Year NBD Parts Replacement Warranty. Dell EqualLogic PS6210X 24x 2.5" SFF Hard Drive Option 24x 900GB 10K SAS 12Gbps Hot Swap Drives 2x Type 15 Controllers 2x 10GB RJ45 2x 10GB SFP Port 1x Mgmt Port 2x 700W Power Supplies Rail Kit Included Front Bezel Included 2x Power Cords, & 1x Console Cable 2 Year NBD Parts Replacement Warranty. 12x 4TB NL SAS 3.5" LFF Dell Orig. (per ctrl 2x 10gbe sfp 2x 10/1gbe RJ45). Dell Equallogic. Specializing in Netapp, Dell, EMC, IBM, HP and many more products lines. We buy retired EMC, Netapp, and Dell Storage!